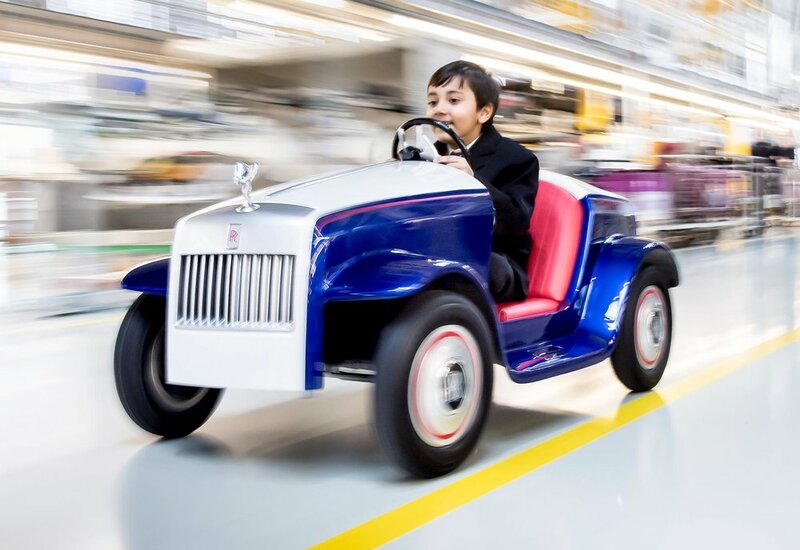 The Bespoke team at Rolls-Royce Motor Cars has unveiled its smallest car yet, crafted for the St Richard’s Hospital Paediatric Day Surgery Unit. 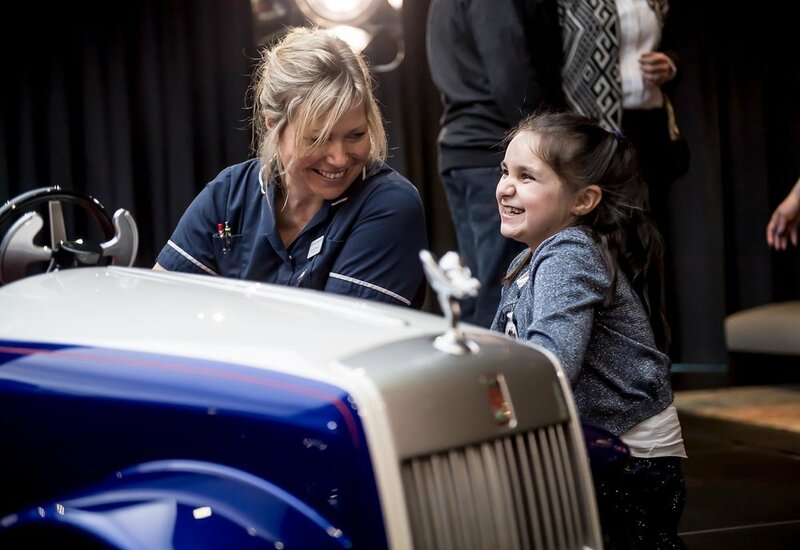 With St Richard’s located in Rolls-Royce’s home town of Chichester, West Sussex, the new 'SRH' car will allow children awaiting surgery to drive themselves to the operating theatre, through the Pediatric Unit corridors which are lined with ‘traffic signs’ - with the aim of reducing the worry and nerves for children heading to surgery. 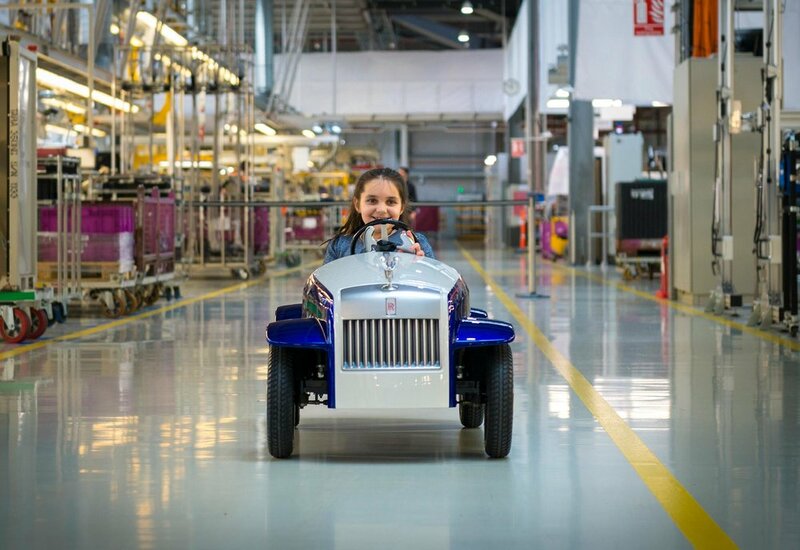 Rolls-Royce Motor Cars welcomed two test drivers from the Pediatric Unit at St Richard’s Hospital, Molly Matthews and Hari Rajyaguru, their families and the day surgery team at St Richard’s Hospital. Finished in a two-tone paint-scheme of Andalusian White and Salamanca Blue with matching two-tone steering wheel and seats, the SRH has self-righting wheel centres and a top speed of 10mph - courtesy of power derived from a 24 volt battery. For those preferring a more sedate journey, the speed setting is variable and can be limited to a statelier 4mph. In addition to developing competency in new chassis and electronic technologies, the project team also utilised 3D printing techniques for the design. 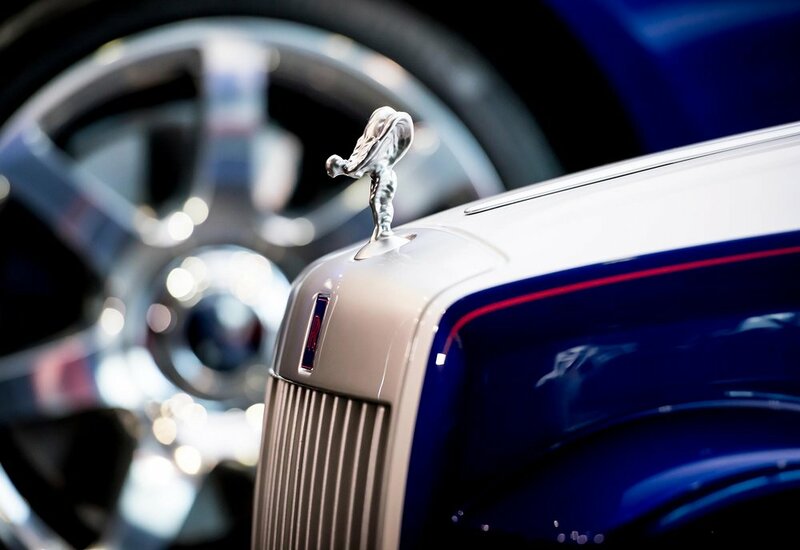 This included production of the iconic Spirit of Ecstasy and the bespoke paddle controls.